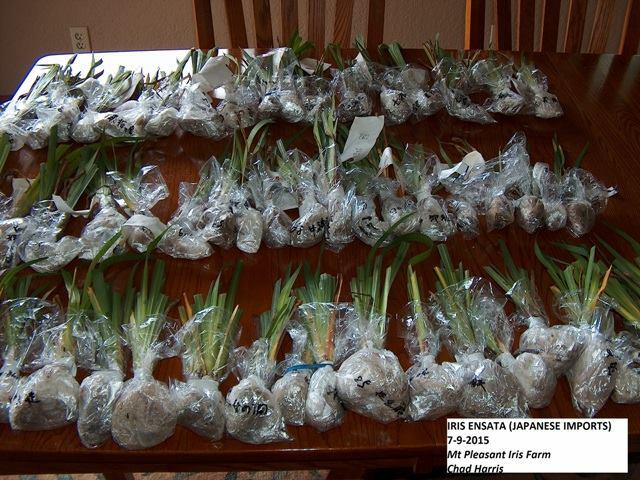 For the past two years (2015-2016) Mt Pleasant Iris Farm has been very fortunate to be the recipients of many historic Iris ensata (Japanese iris) from their homeland. 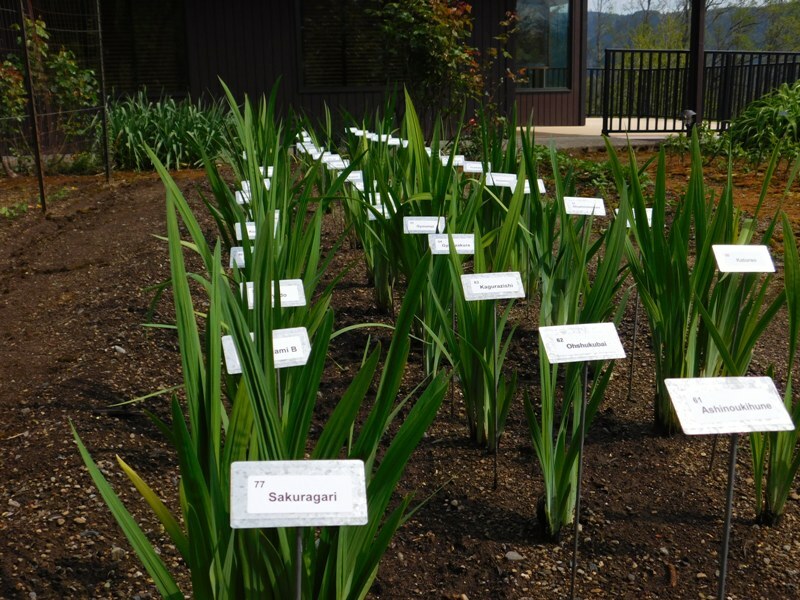 Most of these plants are “Historic”, never have been in the United States nor registered with the American Iris Society. I have been asked not only to register these but also when the stock increases to distribute them to the open market for prosperity. 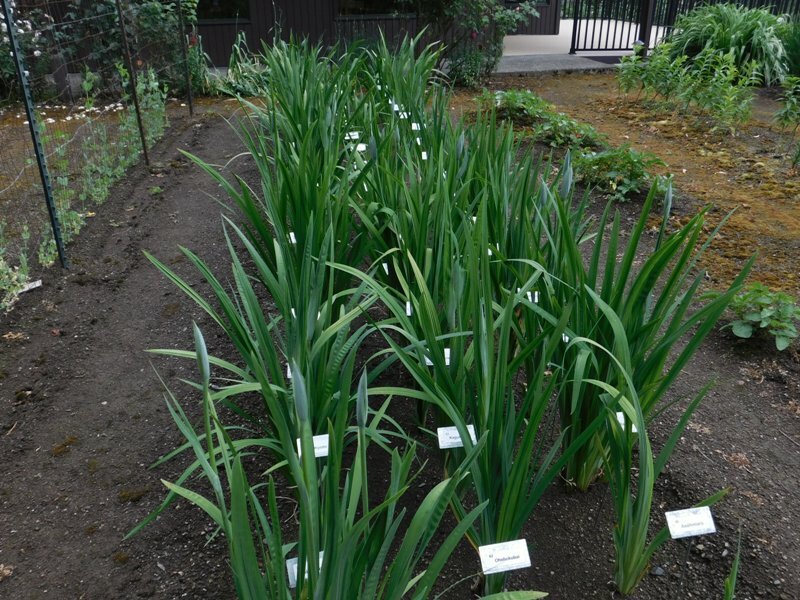 This bed was planted last summer with 53 irises most no larger than the end of a thumb. Originally 6 were deemed to be lost; however, at today’s count it seems that only 2 are not coming up. 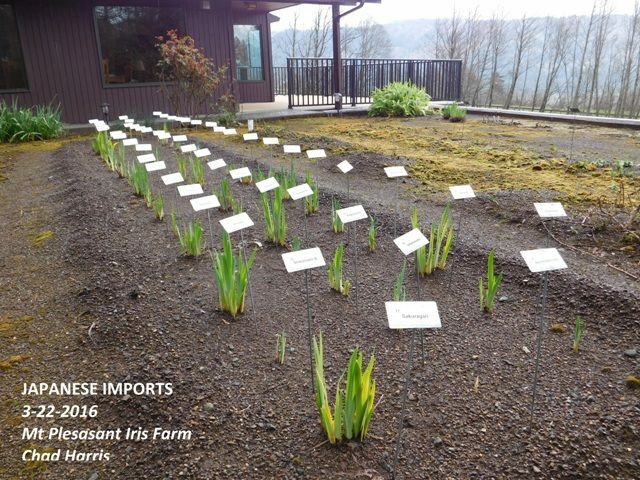 Just a few weeks later (4/15) and the iris have not only woken from their winter rest but have more than doubled in size. 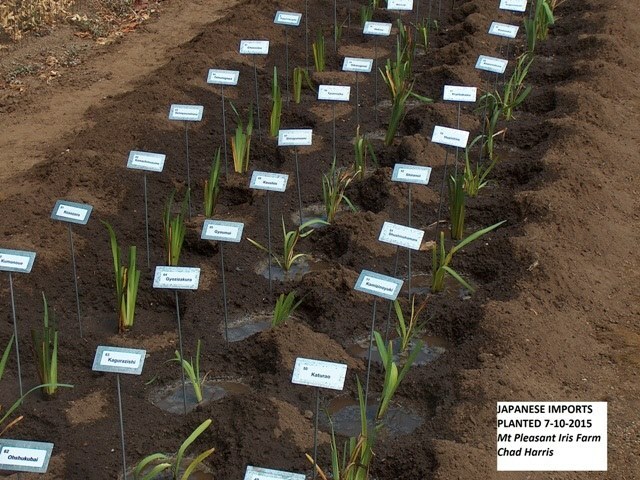 I can hardly wait until the bloom in about two months. May 21 with the heat setting off an early spring, the plants have doubled and are now waist high with buds starting to show. 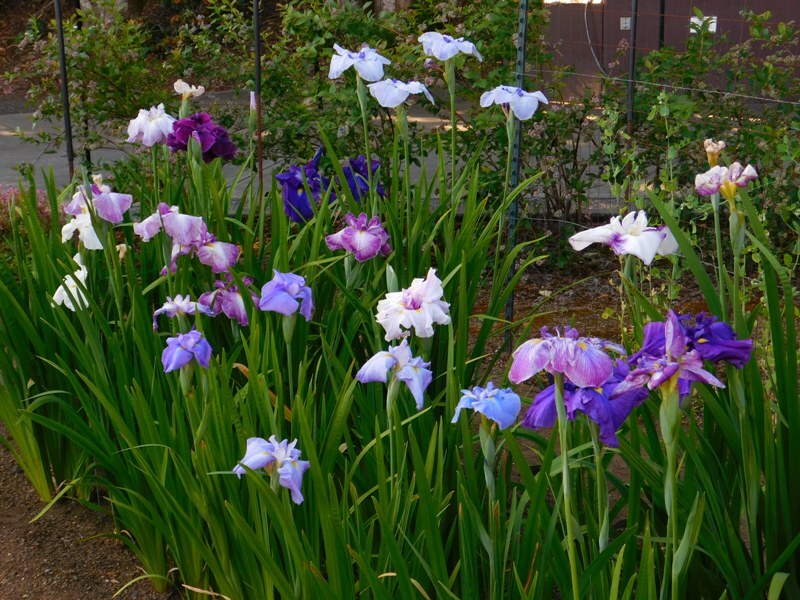 June 12 and the maiden bloom of the plants are showing the many colors and different flower forms that can be found with the Japanese iris, Iris ensata.